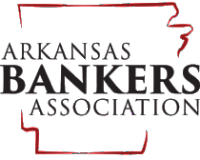 Winner of the 2013 Business of the Year Award/Non-Profit Category, Economics Arkansas is a private, non-profit, non-partisan, educational organization founded in 1962 by Arkansas Commissioner of Education Dr. Arch Ford to promote economic literacy in Arkansas. He appointed Dr. Bessie B. Moore as its first executive director. Economics Arkansas trains PreK-12 teachers how to incorporate principles of economics and personal finance into the classroom curriculum. Economic education is real life, because all young people will grow up and become part of the marketplace. Economics Arkansas provides resources and training to PreK-12 teachers in both public and independent schools in Arkansas. Our belief is that through training teachers, the multiplier effect is achieved. Each school year, the training a teacher receives through Economics Arkansas can impact new children. Economics Arkansas is affiliated with a network of affiliated councils, and we collaborate with six Arkansas university-based Centers for Economic Education. In addition, Economics Arkansas extends its resources through the Polly M. Jackson Master Economics Teachers. These partnerships help the organization meet the needs of teachers by providing economic education training, materials, and curriculum for Arkansas schools. Public and independent schools are encouraged to partner with Economics Arkansas to ensure teachers receive information on training opportunities. Arkansas educators have a long legacy of winning numerous national awards for excellence in teaching economic education. A retrospective of our work was published in honor of our 50th Anniversary in 2012. 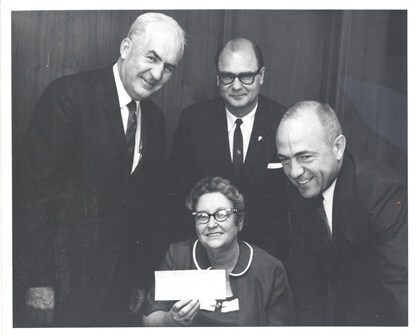 First Executive Director Dr. Bessie B. Moore receives a check from the Sears Foundation. Bessie was a fundraiser extraordinaire. Right after she took charge at Economics Arkansas in early 1962, (then the Arkansas Council for Economic Education), she needed $10,000 to send 52 teachers to economics training workshops. The story of how she raised those funds is told with glee by those who knew her: She invited 23 Arkansas businessmen and bankers to the Marion Hotel in Little Rock, locked the door and explained her problem. The necessary sum was pledged within the hour. That locked door has led to the opening of millions of other doors for Arkansas teachers and students!